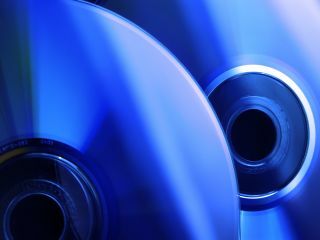 Warner Home Video 's new HD DVD and Blu-ray hybrid discs will not make it onto the shelves until 2008 at the earliest. The two-sided discs were expected to make an appearance in the second half of 2007, but now Warner says it's in 'no rush'. The Total HD discs consist of a Blu-ray disc and an HD DVD disc glued together back-to-back. They were conceived to alleviate the problem of consumers not venturing into the world of HD for fear of backing the wrong disc format. The benefit of the hybrid discs is that movie publishers would only need to put out one product instead of stock shelves with both HD DVD discs and Blu-ray ones too. The downside of course is that the hybrid discs are more expensive to make than individual ones. And no one knows if people would be willing to pay a little extra for them. And from Warner's point of view, it's taking a big risk because as soon as one of the disc format's wins out, hybrid discs will begin to become completely pointless. Warner looks like it's watching the industry carefully, waiting for the right time to launch the Total HD discs.